Fortnite Island Codes are a new feature added to Fortnite Creative mode in the 7.01 update, which allow players to share their own creations and maps with other players via 12-digit codes. This is great news for all you creative players out there who have invested countless hours making great mini games and want to share your masterpiece with the whole world. Likewise, this is also great news for those of your who are hungry for more ways to play Fortnite with your friends, but don’t fancy the hard work: just browse the internet for a cool Island Code, enter it in the Creative Hub, and enjoy the fruits of somebody else’s labour. At the moment, Fortnite Island Codes are only available for a limited number of Fornite Support a Creator program members to start using and testing, so you can’t share your creations just yet. However, you can start playing the maps of some of Fortnite’s best creators right now if you’ve got a map code for it. So to help you figure out how to load player-made creations we’ve prepared this handy walkthrough of everything you need to know about Fortnite Island Codes. Looking for a new Fortnite map to play on with your friends? While the feature hasn’t been rolled out in full just yet, Epic Games say the best place to find community-made creations and their Island Codes is through Reddit, YouTube, and Twitch. Your best bet for finding new Island Codes is likely not the biggest Fortnite subreddit (r/FortNiteBR) but instead the relatively small Fortnite Creative subreddit, which is already filled with wonderful player-made maps and games. 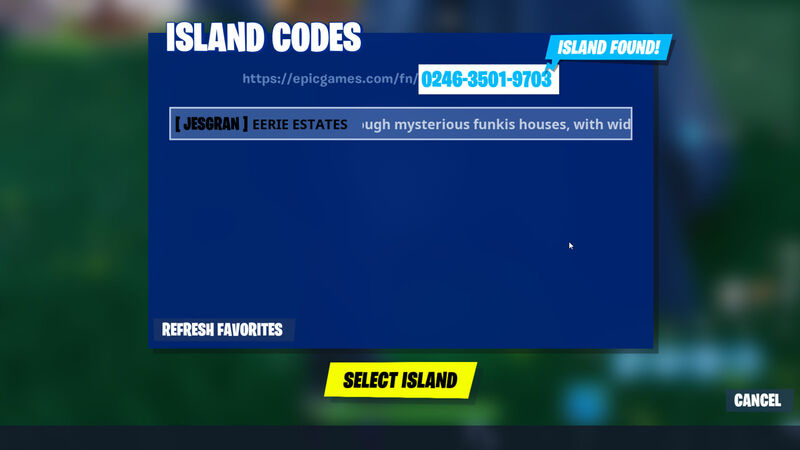 Once you’ve input the code in the game will take a moment to find the Island and give you a short description of it so you can confirm it’s the Island Code you were hoping for. 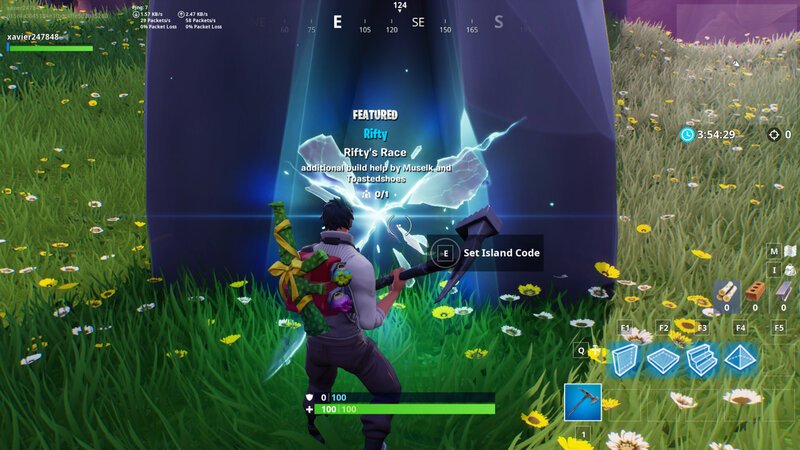 Then click the ‘Select Island’ button, which will close the box and change the rift portal so that it takes you to a new map rather than the featured Island – expect it to take some time to load in the new map. A nice touch from Epic Games also means that any recently entered Fortnite Island Codes will be temporarily saved as favourites, allowing you to quickly travel to your most-played maps. 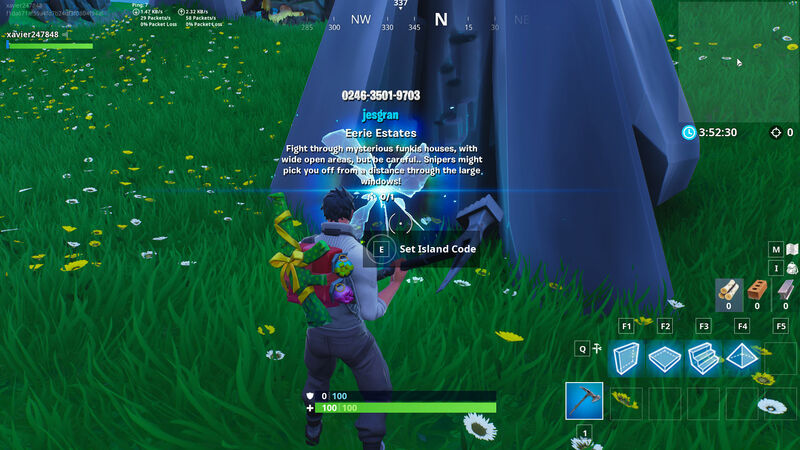 Once it’s all loaded you’ll see the full name and description for the Island Code, simply run into the Rift Portal and it will take you to the new map. However, if you actually want to play the map with your friends then you’ll need to open up your menu, go into the ‘My Island’ tab, and start the match through there. Unfortunately, this feature is not yet live for the vast majority of Fortnite Creative players, but we will update this section of the guide as soon as Epic Games release Fortnite Island Codes for all Fortnite players to use. Be sure to check out our Fortnite Creative mode guide if you’re still struggling to get to grips with this new way of playing and building. Hopefully the internet fills up with countless Fortnite Island Codes for us to start experimenting with and teaming up across in the coming days.